Originally built in 1956, the Kansas State University Student Union has become a staple of student life. 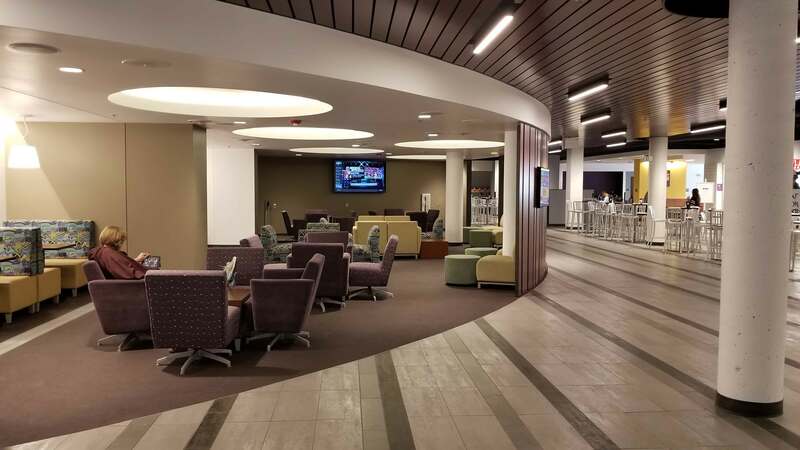 After years of use as a conference center, study center, and the hub of student activities on a lively campus, the KSU Union was due for another major renovation. To accommodate both the construction and the students, a record number of temporary walls were built to ensure the safety of everyone involved. Featuring more windows, an updated retail center, modern lounge spaces, and an enhanced dining center, the KSU Student Union has become the shining new gem of a proud purple campus.